This outbreak investigation is over. However, people could continue to get sick because recalled products may still be in people’s freezers and consumers unaware of the recalls could eat them. Institutions should not serve and retailers should not sell recalled products. 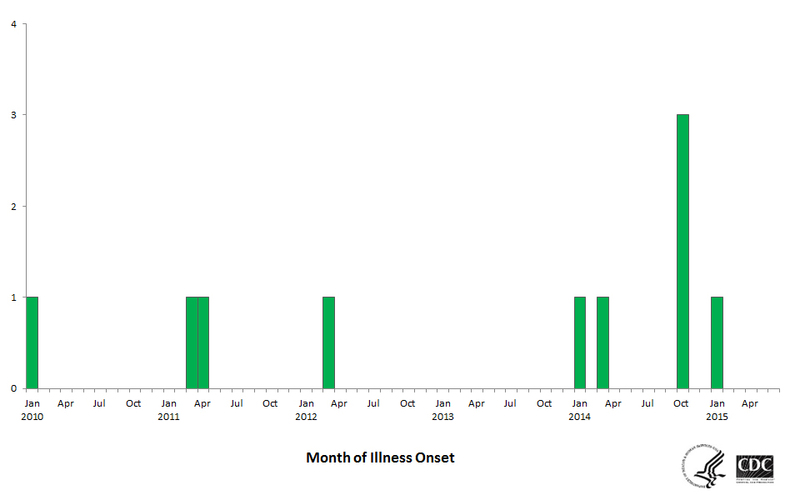 This outbreak can be visually described with a chart showing the number of persons who were diagnosed each month. This chart is called an epi curve. People infected with the outbreak strains of Listeria monocytogenes, by month of illness onset.